Journalling: "The MuppetVision 3D show is everything a Muppet fan could ever want – Miss Piggy flying off the handle during a performance, Fozzie’s bad jokes, Kermit trying to handle all the Muppet craziness, and Statler and Waldorf providing their sarcastic commentary. Matt and I loved the show!" The 3D glasses were cut using the Cricut Explore. 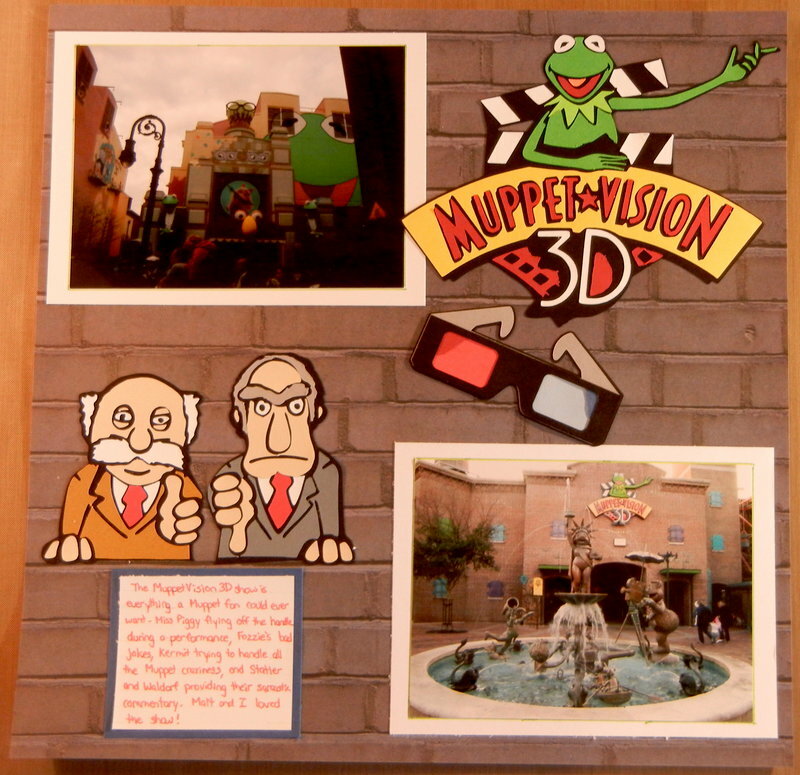 The Muppet Vision 3D logo, and Statler and Waldorf were cut using SVG files with the Cricut Explore. The background paper is from the DCWV Photo Stack 2. Those Cricut cuts are super awesome! Neat pics too. I also like your background pp. This is neat. Great inclusion... the 3D glasses and the logo and especially Statler and Waldorf.